Hi All, what a busy time I had last week, two full day workshops and all the prep that goes with it, but both were amazing days. I love making, creating and teaching and this workshop for Country View Crafts was great fun with 12 lovely ladies, 11 of whom I already knew and one I felt I knew as she is a friend of a friend. This is the texture board I created using the fabulous DecoArt fluid acrylic paints and their mediums along with some embossing powders. The wonderful Di at Tando Creative made up the small and large boards especially for us as a kit and they woked beautifully. Thank you Di. 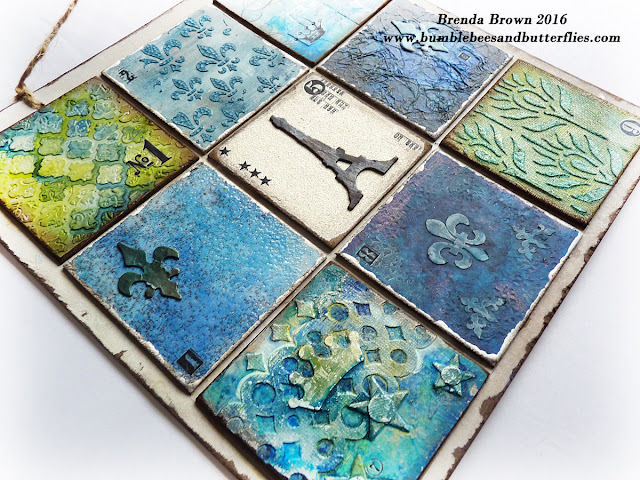 There are nine individual boards each with a different and unique texture technique that can be used in mixed media project work. 1. Stamped Texture Paste. 2. Stencilled Crackle. 3. Textured Collage. 4. Rusted Enamel. 5. Weathered White. 6. Crinkled Highlights. There are lots more photos over on the CVC project blog today including those of the lovely workshop attendees and some of their samples. I hope you have a good week, we had a touch of snow yesterday; sadly it didn't last long, but we're in our first bite of winter and it's still very cold out. Stay safe and warm wherever you are. This board is sooo beautiful!!! Great textures and techniques Brenda. The board looks beautiful... wish there was a way I could learn. Fantastic to see all the different techniques and effects ! Love all the little boards, they make a stunning collection. Love this board showing all the various textures--fantastic! Loved this from the moment I saw the preview image advertising the workshop. Colours right up my street and all that scrumptious texture... beautiful. Off to see more at CVC. Nice to se the result, looks awesome. I remember you spoke about this in Coventry last November. Very nice, and I can imagine how useful all the teqniques are. 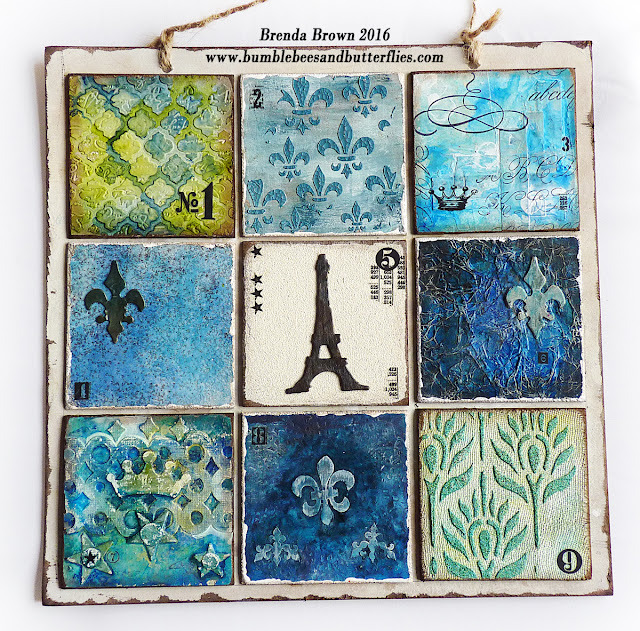 Just saw this on Jane's blog and came over to say, Wow, love it! Absolutely fabulous! Love love LOVE all the texture.